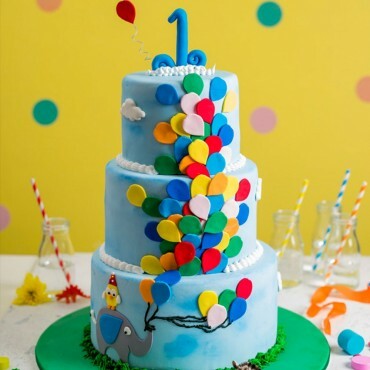 This brightly coloured balloon birthday cake comes with three layers of wow factor! Each layer of delicious mud cake is decorated with colourful balloons reaching up to the clouds. 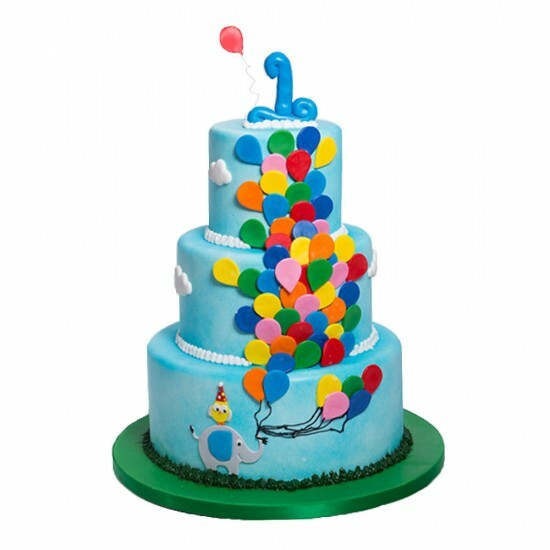 Personalise your cake with a name and a number on top.